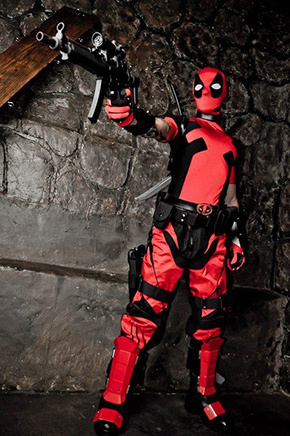 One of the features we do here at Comic Impact is the monthly Cosplay Spotlight. The idea is to showcase people from every facet of this wonderful world of fandom we call, “Cosplay.” We believe in the fun of dressing up and want everyone who plays a part to be recognized. How many years of experience do you have and what got you into cosplay? I’ve been cosplaying for 3 years now. While I was serving a tour in Iraq with the U.S. Army, on my down time I was talking to friends, reading comics, working out, planing out what conventions I wanted to attend when I return home and also what character I could possibly cosplay as. What character/design are you most well known for? Which is your favorite character/design? -Besides DeadPool, I’d have to say Jack Skellington. Both of those cosplays, I put together what I would think would be a more realistic look, if they were actually real, and both I put my own twist on. With the DeadPool character, I use pants, instead of an all spandex look, and show off my tattoos, to have a more urban, tactical look. 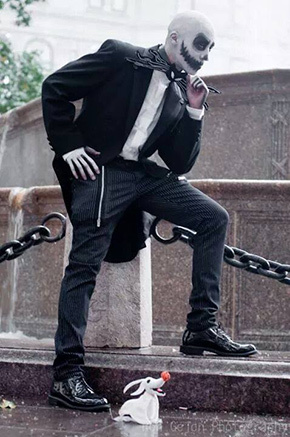 And with Jack Skellington, I paint my head with make up, and give it a little more sinister look. Did you know how to sew/fabricate before you started cosplaying? I didn’t sew at all before I got into cosplay, and ever since, I’ve been learning so much arts and craft work, and now making my own props. How have your techniques improved over the years? Over the years, new things are always grabbing my interest. Something I probably never thought of doing myself, I pretty much am doing now, such as making my own props and putting together things, rather than commissioning someone else all the time. How long does it usually take and what’s your typical process to complete a costume? Basically with me, I choose my cosplays at random, and I don’t really make set times for myself to complete anything. I could be working on multiple cosplays at a time, it’s whatever has most of my interest at that time frame. I tend not to make time limits for myself, cause I see how sometimes making a set time, people tend to stress alot, when cosplay should be a stress reliever rather than create it. Is there a particular fabric/pattern/accessory that you consider your Achilles’ heel? -Right now, I’v been working on cosplays that all require different materials to create the look I’m going for, so I don’t have a set fabric, I just go with whatever I think would be better for that cosplay to really come together and even stand out. Have you met any of the artists or writers where your costume is based on their work? Yeah! I met a few DeadPool writters and artists, and they were pretty excited to see me show up at their tables at whatever convention they were at the time. What is the funniest thing that has happened to you at a convention? Anytime time I go to a convention, there’s always something funny that happens, the best is when other cosplayers get into character and interact with you as if you were actually that character. It’s like a comic book come to life, and your a part of it. What is one of your best memories in cosplaying? I’d have to say, meeting my lady at a cosplay fashion show! Do you read comics and if so, what are your favorite titles? Hells Yes I read comics, I’ve been reading comics since I was a kid, and even while serving in Iraq, I still made time to read comics. Some of my favorite titles are DeadPool of course, X-23, Xforce, Thanos Rising, Hunger, and Superior Spiderman. The many people I’ve met in the cosplay community is inspiration enough. Some of them travel all across the U.S. attending events, and even charities. They enjoy cosplaying and also making people smile and feel like a kid. 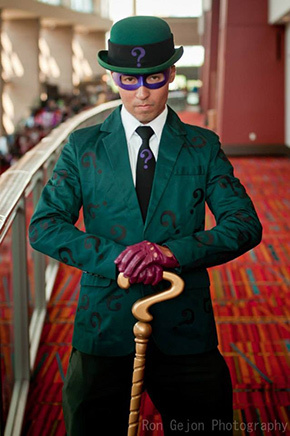 Have you ever participated in any cosplay events or costumed fund raisers? I’ve been in a few events, but so far no fund raisers yet, but would love to go if given the opportunity. What do you like to do when you’re not costuming, such as other hobbies? Drive around place to place, sometimes other states, enjoying life with friends and family, and drinking lots of coffee! Do you have any advice for others wanting to get into cosplay? My own advice for everyone, is, cosplay is something anyone can do, and get into. It gives you the opportunity to bring your favorite character to life, through you. There are no gender, race, body types, in cosplay, anyone can put their own creativity into what they want to do, and enjoy it to the fullest. Where can people find and interact with you? 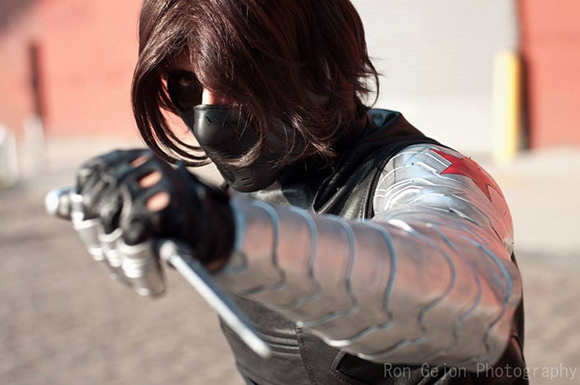 Every 10th of every month, we will be feature a new Cosplay Spotlight. If you’re interested in having your hard work featured, contact me.